The fight-or-flight response, is a physiological reaction that occurs in response to a perceived harmful event, attack, or threat to survival. Fight, Flight, Freeze, or Fawn are responses the human body faces in situations, where post-traumatic stress disorder, hyperarousal, or the acute stress response have been turned on. This idea started to roam around in my mind and as I was mulling it I realized… that every day we are living in a Fight-or-Flight world. A world that doesn’t give you time to freeze, because you are consumed with the pressures, fears and anxiousness surrounding the next move you must make. THAT is Fight-or-Flight! Instinct, that instinct, which makes you question your purpose and it grants you a new reasoning for the life you were given. When in responding to life’s disasters, the biology innate in humanity instantly launches us into ‘Fight-or-Flight Mode’ right? It is like when a Mama Bear and her Cubs are threatened, you know she will do whatever it takes to protect her children. Our instant instinct as beings is to defend our intuition and hence our interest and that is most certainly visible when we are disappointed or hurt. Some take a moment to Fawn over their hurt and use the disappointment as a crutch, for which to lean on in allowing themselves to disconnect and fall off course, others use that same cause to promote a reactionary tale of fruitful repercussions in Flight. If you are wondering what caused me to ponder upon this intensity of the human emotional spectrum, it was having watched ‘South Paw’ this weekend- directed by Antoine Fuqua and produced by The Weinstein Company… this film is a flawless depiction of Fight-or-Flight. A young boxer is enchanted amongst the glories of his success and yet when his compass cracks, he has no choice but to learn to Fight outside the ring, for the Flight of his life. I found myself fascinated within the paradigm of the human emotional scale at the forefront of life and through that query discovered that Fight-or-Flight is the instinctive quality of the human being, which allots for this fervor to shine in full display. 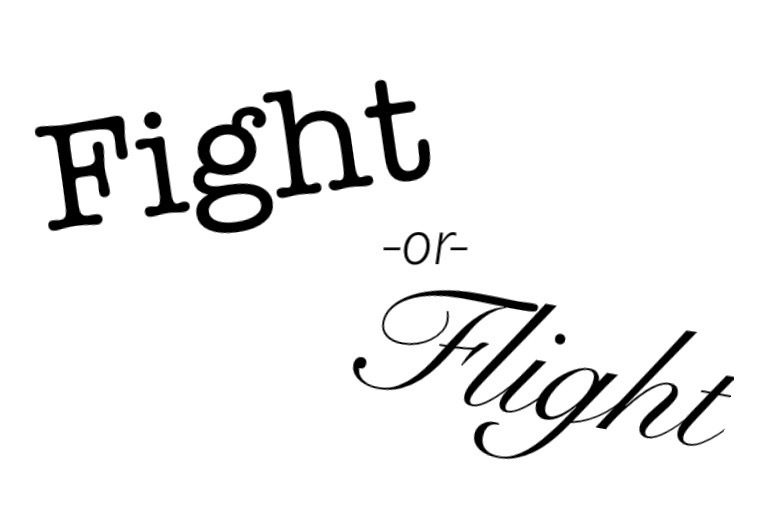 Will You Fly in the Fight of your Flight?